Saying that forests are important and then writing about that is as cliche’d as it can get. However the forest in question, ‘Rais Mureed’ has been a sorry bone of contention since many years. I last covered the issue of Rais Mureed in 2007 and little has improved since then. While the Pakistani Government loudly proclaimed the year 2007 as its ‘green Pakistan’ year and prominently showed leaders on television planting, saplings, the mutilation of full grown trees continued unpunished and unabated from the timber mafia in the North to the mangrove destruction in the estuary region in the South. IUCN data records show that replantation of mangroves is not even half as fast as their destruction. the local fishermen community needs its driftwood for firewood, but more damage has been done in the name ofland reclamation and security concerns. Land mafia here is the biggest stake holder and it seems people will go to any lengths where land is involved. 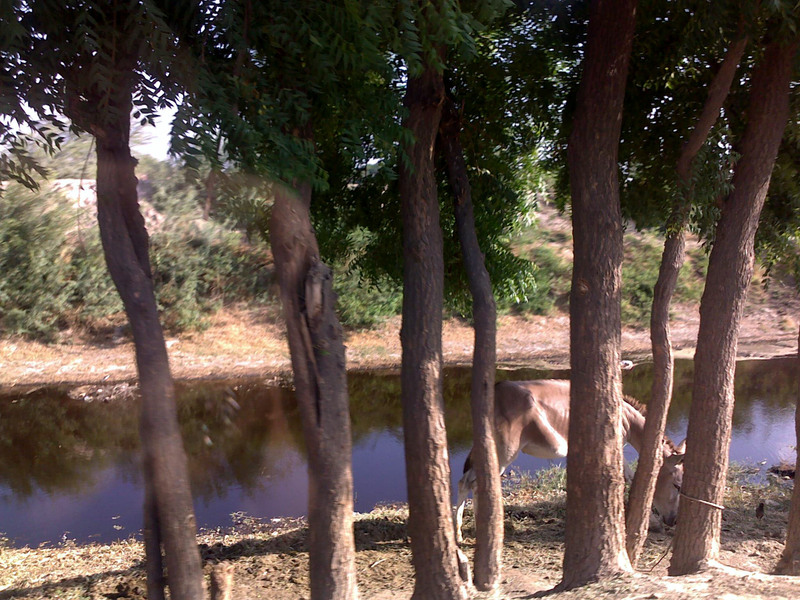 Rais Mureed is a typical belo forest located in the Matiari district of Sindh. This is the only notable vegetation in the region as the area is generally barren with sparse patches of thorny keekarr dotting the landscape. 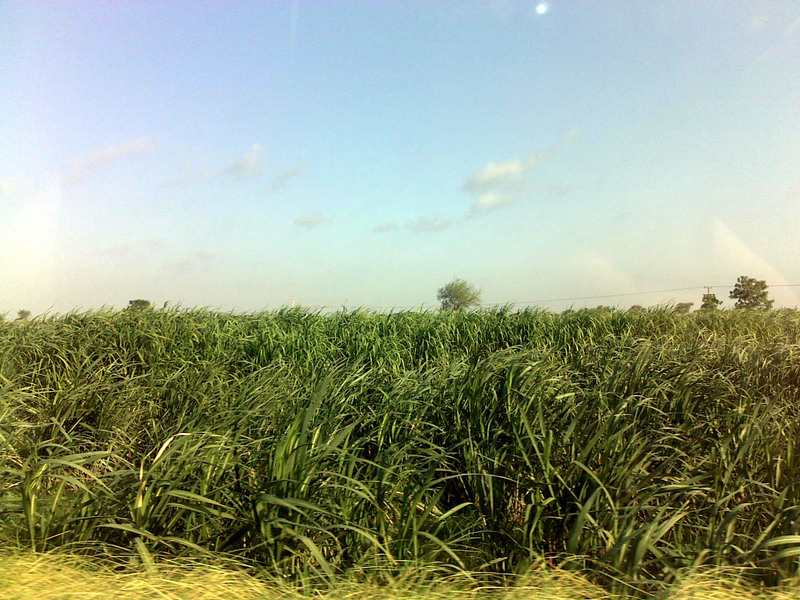 The bela region is located generally inarrow belts along the Indus flood plains. Their main varieties include Babul (acacia arabica) which is used for tanning and fuel and Shisham (dalbergia sissoo) which is an important source of timber and used in making furniture. The damage to Rais Mureed and its adjoining Khebrani forests has been extensive. The local Bhucha and Khebar communities are poor farmers and use the forest land for grazing purposes. As yet, they are reportedly the only obstacle to the influential persons of Sammon who want the land razed to ground level for agriculture. Recently a woman of the Bhucha community was killed during a police operation in the area and village persons have demanded suo motu notice. The Rais Mureed forest was earlier spread over 12,000 acres and figures taken till 2008, show that the area had dwindled to just over 2,000 acres. the forest has thus been deprived of nearly 80 million trees spread over 10,000 acres of land! It is sad to see farmers looking at short term benefits rather than long term plans. Perhaps lack of education and specifically, geographical and agricultural knowledge of modern science can be related to this as erosion is imminent if the situation does not improve. The adjoining areas have sandy soil and the forest is the sole protector of the neighbouring crops of wheat, maize and sugar cane. If the forest is destroyed, the sandy soil will not be able to stop the inflow of water during floods and could lead to not only extensive crop damage but also waterlogging in the long run. The Belo Bachayo committee was initially the lone voice against the tree-slaughter as the local Bhucha community was one of the main affectees. However, now Khebar, Khoso, Rind, Chohan, Sehto and other communities have also joined hands with the Indus Development Organization IDO to urge for an increase in aerial seeding, GIS mapping of the forest region and a reduction in leasing of forest land. In a recent press conference on 18th April 2011, they also urged for the Provincial Government to abide by the orders of the Sindh High court. It is only to be hoped that environmental agencies and more importantly, the Government looks into this matter seriously before we face another bout of floods during the monsoon season. Pakistan has a rich biodiversity whose full potential is yet to be exploited fully for recreational benefit of the public. Nowhere is this state of affairs more apparent than in Sindh. The people of Sindh, especially Karachi are often found complaining of a lack of recreational places and comparisons with the northern parts of the country abound. 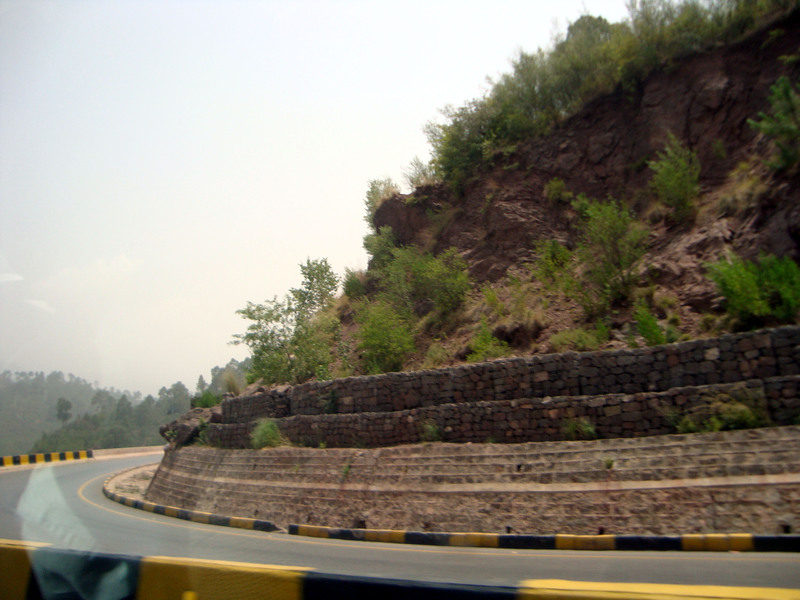 People living in Islamabad and Lahore have the luxury of zooming off to cooler climes like Murree, Nathiagali and Bhurban anytime they choose. Lahore itself is culturally rich and has something to offer every palate. Karachi has discovered and rediscovered malls in all shapes, sizes and manner of pocket-emptying slickness and plain gaudiness. Shopping along with eating remain the main trends here. The beaches and beautiful islands are there but more development is needed to bring these into public eye. 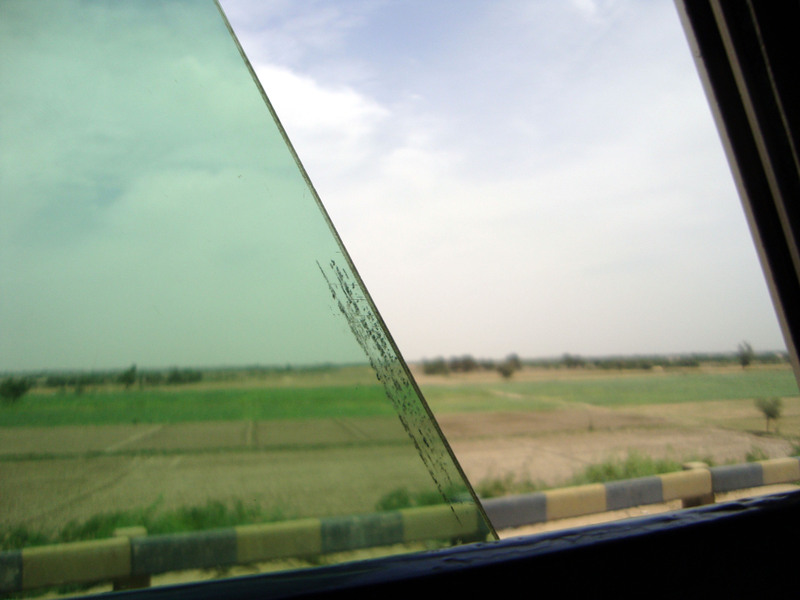 A look out of the city towards the surrounding areas reveals a vast desert. Hyderabad, the closest major city from Karachi is rarely seen as a recreational spot. The lure of Hyderabadi bangles from the choori gali (bangle market/lane) and the glazed icing cakes of the Bombay bakery in Hyderabad and even the shrines are not bait enough for most Karachiites. Perhaps a visit once in a few years can bring back old memories without dwindling into boredom. Debal- the reported landing place of Mohammad bin Qasim, Chaukhandi tombs or the largest necropolis of Makli are good spots for the archaelogically inclined or artistically inclined like myself, but hardly good picnic spots for a family outing. 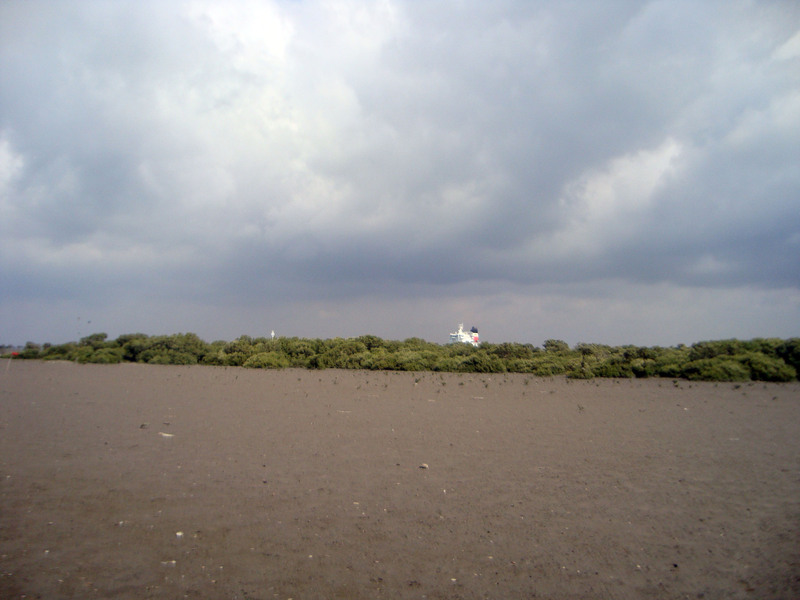 – Manchhar lake is the largest with an expanse of around 200 square miles. Located at a distance of 16 kilometres from Sehwan Sharif in Dadu district this lake is facing rapid environmental degradation. Still, the Mohanas or fisher folk in their floating homes and the surrounding tall grasses with meadows of lotus lend the lake its particular charm. It attracts flocks of migratory birds during the winter season and is popular as a hunting spot. However recently their numbers have dwindled. The dense forest surrounding the dense forest surrounding the lake is home to many mammals and small game. Be sure to take adequate food, water and c gear with you as facilities provided there can hardly be called adequate. – Kalri – Kinjhar lake situated near Thatta has an attractive rest house, boating facilities and during winter it becomes an ideal spot for fishing and duck shooting. The rest house is quite comfortable and according to the keeper, people who desire to spend a few hours and are willing to pay for the expenses hardly need book their rooms in advance. This lake is famous for its extensive reed beds and is an internationally important area for the breeding of wintering water birds. However, if you plan to go in for boating and have minors in charge, it is advisable to make sure you have life saving equipment handy and inflatable life jackets of your own and that not more than 4 people are accomodated in one boat. There are numerous stories of accidents and fatal ones at that, happening to people who have not paid heed to this warning. There is a plan to set up a resort and a water park near by in future, which may serve to make the spot more attractive. forms an ideal home for waterfowl from mallards to flamingos and birdwatchers. Approximately 200 different species of birds have been seen here especially on the outcrops of the pelican island and the cormorant island. Take your binoculars along and enjoy the view in the summer months but do not stay here after dusk, or even for more than a few hours at a time, as the area is also reported to be frequented by dacoits. According to an estimate several thousand visitors visit these lakes every week and make the most of a picturesque and peaceful outing. Whether you are interested in hunting, fishing, bird watching, boating or simply travelling, the lakes of interior Sindh may provide a very different experience for you and your family. 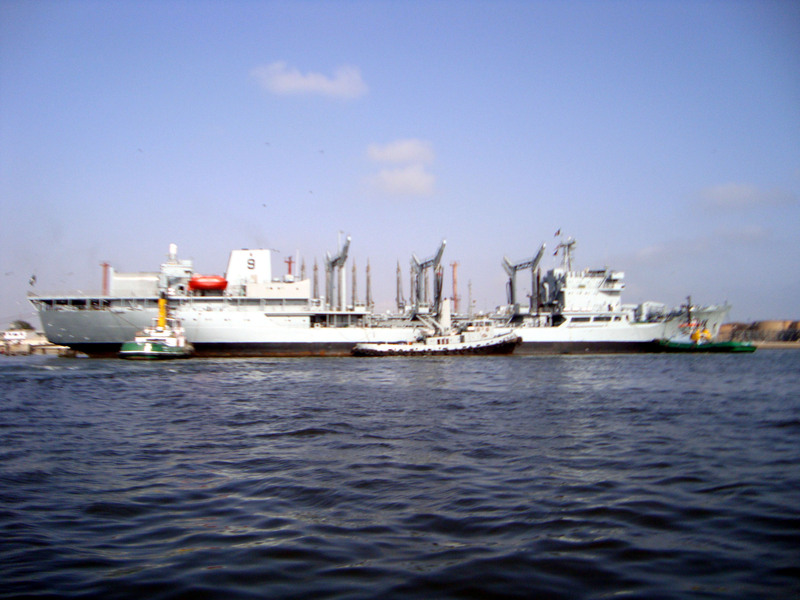 Karachi, the city by the sea, has a natural harbour. The shoreline curves from Manora, which is the breakwater to Cape Monz, which is the other lighthouse. It can also boast of quite a few offshore retreats surrounded by mangroves that serve as nesting places for the sea life and maintain ecological balance. Sadly, mangrove destruction by the locals when they utilize it as firewood and recent dredging is endangering these areas. Nevertheless, the islands and rocky mounds in the estuary region are worth visiting if you are a sea enthusiast. 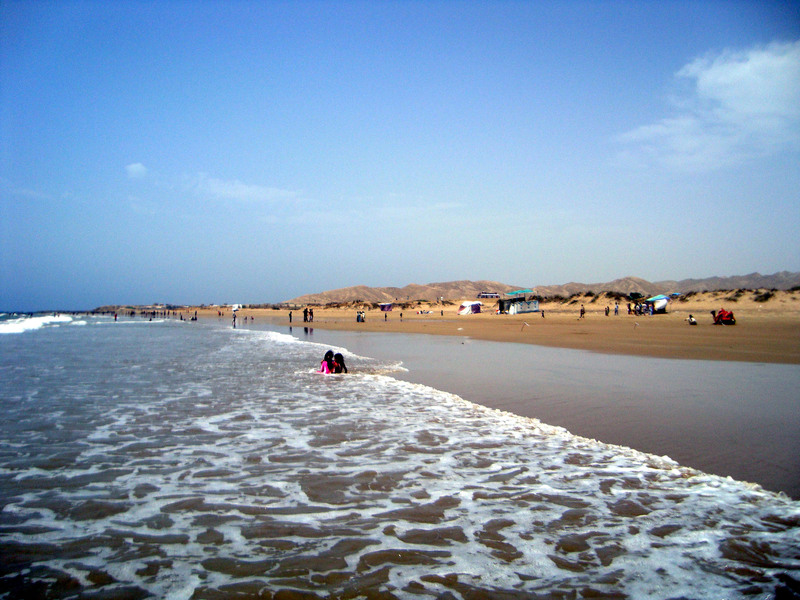 It is located 7 kilometres from Karachi and has around 12,000 katchi abadi residents whose livelihood is fishing. will be sold to the public in the first stage. A clear view can be obtained of these picturesque rocks from Clifton. They can be reached via KPT boats from Keamari. An underwater cave into which boats can sail is reachable during low tide. Once inside, the visitor is treated to a display of crystallized rocks that twinkle in torchlight. These rocks are now the home of one of the worlds tallest man made fountains. 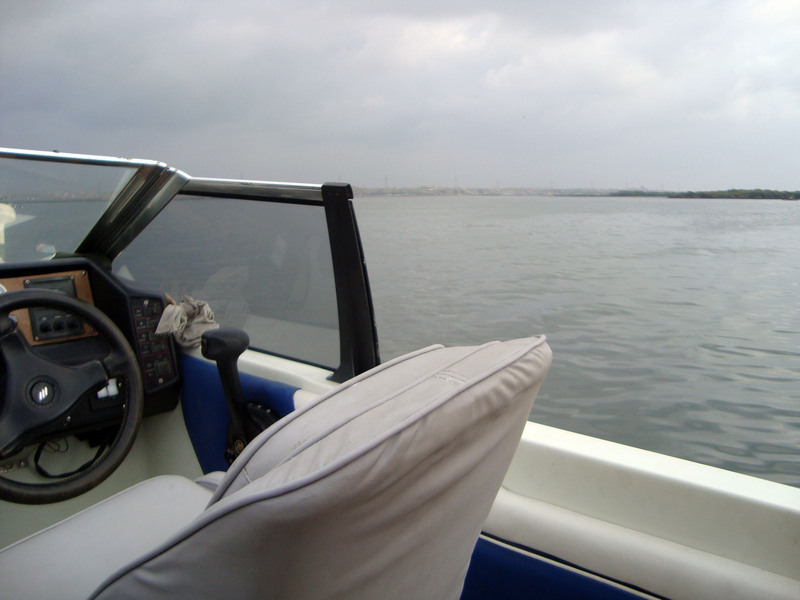 It is one of the biggest and frequent fishing spots for fishing enthusiasts and fishermen alike in their powerboats from Karachi’s boating clubs. Many people drive to nearby villages such as the beautiful Mubarak village and hire boats from there. Divers of all levels get a chance to hone their diving skills here as diving activities are also undertaken at 0 – 30 feet depth. It is a good idea to check the condition of the sea and inquire at local fishing villages before your sojourn here as the waters can get pretty rough and you may just find yourself leaning out of the boat throughout the ride if you head into a stormy sea – an experience I have had the misfortune to face. This smaller island is directly opposite Gaddani and has been named thus by the fishermen. supply is also in the pipeline. The island of yore has now become connected to the mainland via the 12 kilometres long causeway of Sandspit beach. Technically it is now a peninsula and has a population of approximately 10,000 people. It can be reached easily by boat from Keamari. Tourist attractions include the 91 feet high Manora lighthouse with its colourful and traditional tiled flooring, a dilapidated but still exotic mandir with the smell of incense inside, colonial style churches, and a thin strip of the Manora beach replete with camel rides.